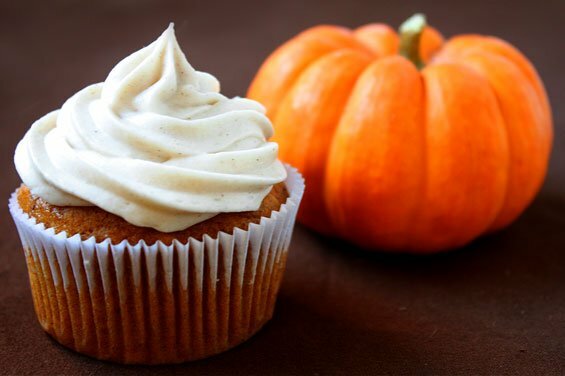 So, if you notice I have a couple pumpkin cupcake pictures up today. If you click on any of the links provided they will take you right to the recipe. The reason behind the pumpkin cupcakes is because a co-worker is leaving this Friday (end of her internship)and I wanted to make her cupcakes. She shares the same obsession as me! I asked what kind she wanted and that's what she chose! 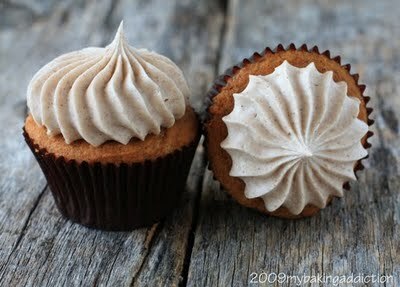 So today I will be baking the test cupcakes and hopefully they will come out the way I want. I've only made pumpkin bread and pumpkin pies and they always come out amazing, so cupcakes...should be a piece of cake! (all pun intended!) And who says you can only eat pumpkin desserts only in the fall?? Not me! I also included a couple fun cupcake ideas I found. Anyway, Today is filled with lots of crafting and baking I hope you all are having a great weekend! These look so fun! I would love to have them for my birthday!